It's not revolutionary, but Mega Man 11 feels almost like a classic Mega Man game, and is a good foundation for the next 10 games. Capcom's iconic action hero returns in an adventure that maintains the trademark brutal challenge while finding a way in for newcomers. A Mega Man sequel that, despite its flash new looks and newb-friendly approach, conservatively touts the same formula Capcom has been using these past 30 years. Mega Man 11 is a solid return for the Blue Bomber, but it's held back somewhat by overly long and frustrating stage design. Although it's a solid, well-made game, it ultimately left me unsatisfied. Mega Man is back from exile, and he brought a nice gift for us to show there's no hard feelings. Mega Man 11 brings back the same high-quality platforming that made the Blue Bomber a household name in the '80s and '90s, and the new Double Gear system shakes up the classic gameplay without feeling like an intrusion. The game is probably close to what you'd expect: a collection of hard-as-nails platforming levels capped off by a boss fight where you get more gear so you can tackle even more hard-as-nails platforming levels and boss fights. However, its new Gear System and difficulty settings simultaneously make it more accessible and deeper while not sacrificing its core identity. How much Mega Man 11 is expected to reinvent the wheel is by nature subjective. Despite its reserved approach, it undeniably slots in very nicely with the classic series while bringing our old friend into a new era. The big finish could have been a little more mega, but it succeeds in pulling off the gargantuan task of getting people to care about Mega Man again. It's rare that a modern return of a classic gaming series hits the mark, but Mega Man 11 lets off a charged burster shot that obliterates any worries you might have had. It encapsulates much of what made the old games so great, but the new abilities feel fresh and more modern at the same time. This is a much needed return to form for the Blue Bomber. Can Battle Network come back now too? It may not be the smoothest transition — purists may shun the new mechanics, while unfamiliar players may wonder how the game was ever interesting without them — but the bottom line is that Capcom has found a way to keep Mega Man alive without banking solely on retro gaming nostalgia. Try it if you're looking for a novel take on a time-tested 2D gaming formula. Mega Man 11 returns after a decade of its last installment, with more than thirty years of experience behind it to show us that not always any past time was better, and that you can maintain a style for a long period of time without suffering the punishment of the ticking of the clock. It proves to be a game that is in perfect shape and to which both its general appearance and the remarkable design of its levels and characters endow it with a quality beyond doubt. Capcom shows to perfectly know what has made Mega Man one of the most beloved franchise in the gaming history. And how to make it still relevant today. Mega Man 11 is exactly what fans will want, but it does nothing to really improve on the old games and make Mega Man relevant in 2018. 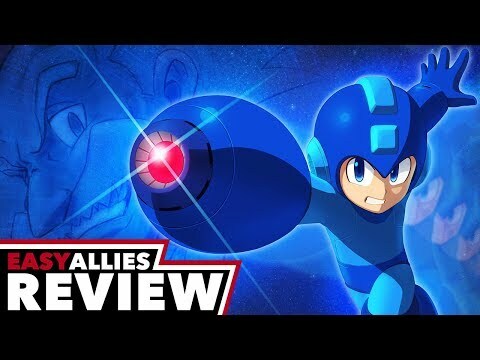 Mega Man 11 offers a successfully modernized take on the classic Mega Man experience and should please fans both old and new. If you're a fan of Mega Man but feel uneasy about how Mega Man 11 looks or adds to the formula, don't. This is a fantastic 2D action game worthy of the Blue Bomber's name. Mega Man 11 delivers an old-school Mega Man experience with upgraded visuals and new gameplay features that will make it appeal to both longtime fans and newcomers.